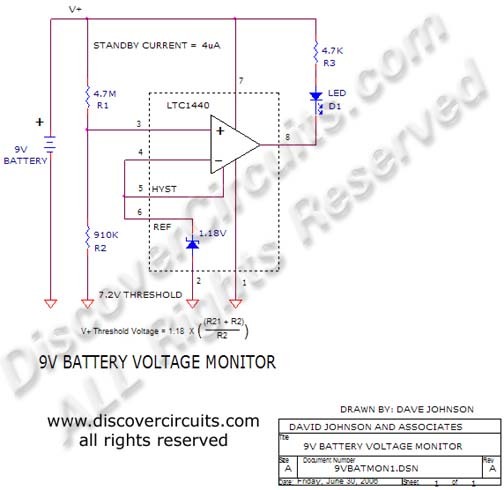 Circuit: 9v Battery Voltage Monitor__ Circuit designed by David A. Johnson, P.E. This circuit turns on a LED whenever the voltage of a standard 9v battery connected to the circuit drops below 7.2 volts. It uses a LTC1440 comparator, which also contains a 1.18v reference diode. In standby mode, the circuit draws only 4uA.